Bodman PLC has added six new attorneys to the law firm. They are: Kristen T. Hansen, Alex E. Haney, Zackery T. Hugg, Kristen M. Benvenuti Pytel, Jasmine D. Rippy, and Erica J. Shell. 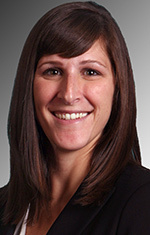 Hansen, of Novi, is an associate with the business practice group in the Troy office. 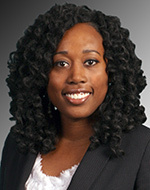 She represents business clients in connection with corporate formations, mergers, acquisitions, and other commercial transactions. 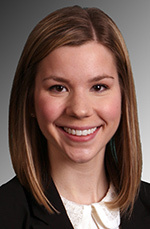 Before joining Bodman, Hansen served as a judicial intern for Judge Avern Cohn of the United States District Court for the Eastern District of Michigan. She is a graduate of the Indiana University Maurer School of Law. 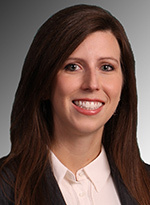 Haney, of West Bloomfield, is a staff attorney with Bodman’s enterprise procurement group in the Troy office. He represents business clients in the drafting and negotiation of vendor contracts. 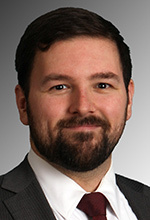 Before joining Bodman, Haney worked as a commercial law clerk at a Michigan-based global manufacturer of high-technology products where he reviewed, drafted and revised corporate supply agreements, contract amendments, and real estate leases. Hugg, of Royal Oak, is a staff attorney with the enterprise procurement group in the Troy office. He represents business clients in commercial transactions and intellectual property matters, including the drafting of IP and confidentiality agreements. Before joining Bodman, Hugg acted as independent counsel to a local law firm. He is a graduate of the Thomas M. Cooley Law School. Pytel, of Macomb Township, is a staff attorney with the enterprise procurement group in the Troy office. She represents business clients in connection with a variety of commercial transactions, including the drafting and negotiation of vendor contracts for a variety of goods and services. Before beginning her legal career, Pytel had a career in communications and public relations. She is a graduate of Wayne State University Law School. 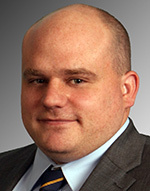 Rippy, of Detroit, is an associate with the banking practice group in the Detroit office. She concentrates her practice in representing lenders in commercial loan originations. Before joining Bodman, Rippy served as a judicial extern to Judge Jack Zouhary of the U.S. District Court for the Northern District of Ohio and to Judge Thomas Tucker of the U.S. Bankruptcy Court for the Eastern District of Michigan. She is a graduate of the University of Toledo College of Law. Shell, of Franklin, is an associate with the litigation and alternative dispute resolution practice group in the Detroit office. She represents clients involved in complex commercial litigation matters. Before joining Bodman, Shell worked as a judicial intern for Judge Nancy G. Edmunds of the U.S. District Court for the Eastern District of Michigan.